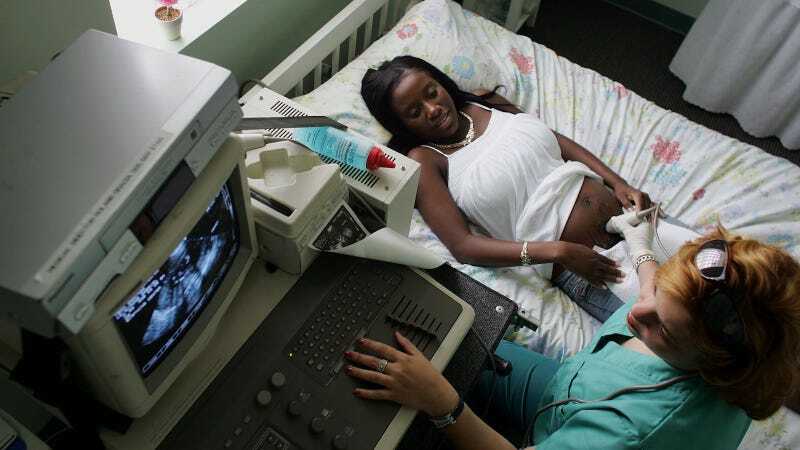 A new report by liberal thinktank Center for American Progress analyzing why black women are at the forefront of America’s maternal mortality crisis suggests that lifelong stress from racism and sexism may be to blame. Among developed countries, America ranks highest in the world for maternal and infant mortality rates, and black women are suffering the most. While maternal and infant mortality in America has declined over the 20th century, white women have faced a steeper decline than black women, creating a widening racial gap. According to the study, complications in pregnancy kill three to four times as many black mothers than non-Hispanic white mothers, and infants born to black women die twice as often. The report analyzed multiple studies on maternal and infant mortality and found that controlling for poverty, mental and physical health, and prenatal care did not fully explain why black women die at such a higher rates. For example, one study found that even controlling for factors like income, maternal age, and health status, black women were three times as likely to face pregnancy-related complications than white women. Another cited study comparing maternal mortality rates between college-educated black women and white women found the same results. The experience of systematic racial bias—not race itself—compromises health. African American families, for example, are offered fewer adequate housing options than non-Hispanic white families—despite being equally qualified when comparing income levels and credit scores—and they are more likely to experience housing instability and eviction. During early childhood, African American girls are more likely than non-Hispanic white girls to live in substandard housing with environmental toxins such as lead that can compromise healthy development. Throughout school, they are more likely to be suspended or expelled than their non-Hispanic white female peers for similar behaviors. And once they enter the workforce, adult African American women earn only 63 cents for every dollar earned by white men,and they are more likely than non-Hispanic white men and women to work in jobs that lack structural supports including flexible scheduling, paid sick days, and paid family leave. Further, 72 percent of African American mothers are single heads of household, leading to an increased likelihood of stress. In addition to facing institutional bias, black women are more likely to lower quality of healthcare, including reproductive and family planning services, which “contributes to racial disparities in pregnancy-related risk factors” like “hypertension, anemia, gestational diabetes, and obesity—and other conditions such as heart disease, HIV, AIDS, and cancer,” the report states. And even while receiving care, black women are taken less seriously than white women. Furthermore, studies have found that black immigrant women from African and Caribbean countries, who have not grown up in America’s race and class system, experience lower mortality rates than African-American women—suggesting that institutional racism and sexism may play a significant factor in the different morality rates.